Since February 2018, the Baltic Sea Conservation Foundation funds the project “Reduction of the negative impact of oil spills from the Franken shipwreck” carried out by the Mare Foundation in close collaboration with the Maritime Institute Gdansk. 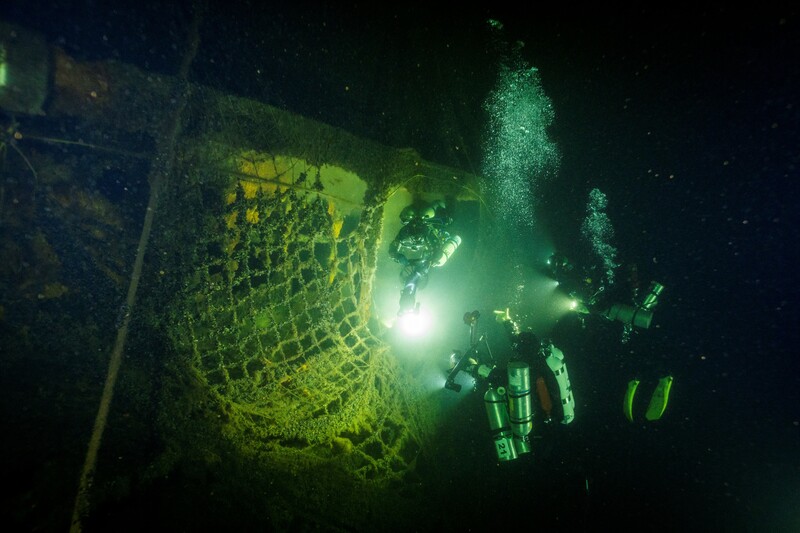 The project aims at reducing the risk of an ecological disaster in the Gdansk Bay given a potential oil spill from the Franken shipwreck – a tanker that sunk during World War II and is still resting on the sea bed. Due to erosion the hull became instable and threatens to collapse while still carrying a lot of oil, fuel and other substances. The Mare Foundation seeks to mobilize political will for supporting the cause and accepting responsibility. For this purpose, and to raise public awareness, a large media campaign began on July 3rd summing up the results of a previously realized research expedition. Scientists and divers went out on two boats and examined as well as visually captured the state of the wreck. The gained data is used for developing further action plans regarding the Franken, creating PR material as well as receiving media attention. So far, the project was featured in all of the most popular Polish news programs on television and on the radio, in some articles in the printed press as well as in a large number of publications online. Please follow the initiative on social media and sign the petition that shall be send to local and national authorities here.